Personalized Photography Lessons to Serve You. These sessions will be held by video chat in one hour increments. Book a one hour personalized photography session. Dig into your most important and current photography questions, frustrations or curiosities. Prior to the session an introductory questionnaire will be sent out, in order for Erin to get to know you and your photography, as best as possible, in order to maximize the quality of your time together during the hour. The session will be structured toward the clients most current photography goal(s). This may included but is not limited to portfolio development, technique and technology instruction, feedback on photographs, and tools for creative growth. This is open to photographers of all levels. Book 4 one-on-one personalized photography sessions. These will typically take place over the course of four consecutive weeks. The four lessons will build upon each other, with progressive lessons, actionable assignments and constructive feedback. The session will be structured toward the clients current photography goal(s). This may included but is not limited to portfolio development, technique and technology instruction, feedback on photographs, and tools for creative growth. Within just four weeks, see immediate results and improvements in your photography in the way you desire most! Book 8 one-on-one personalized photography sessions. These will typically take place over the course of 8 consecutive weeks. Each lessons will build upon the last, with progressive actionable assignments and constructive feedback. The session will be structured toward the clients current photography goal(s). This may included but is not limited to portfolio development, technique and technology instruction, feedback on photographs, and tools for creative growth. 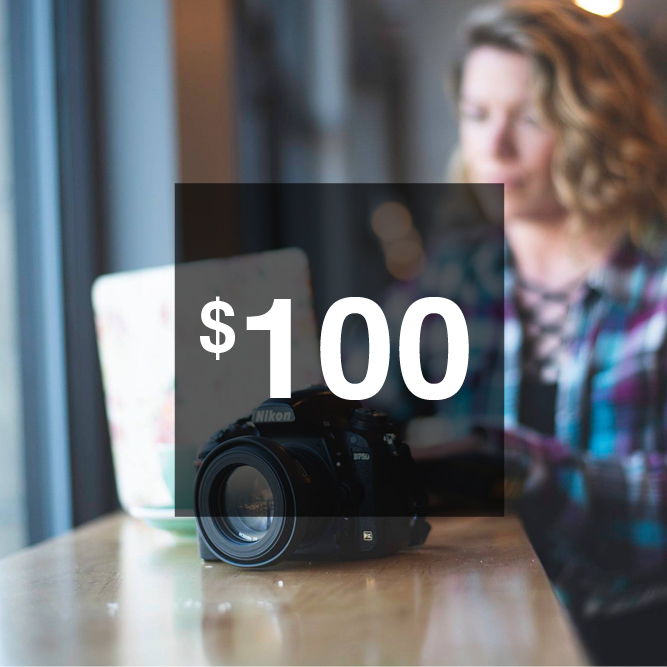 Invest in your creative pursuits and see massive growth in your photography over the course of just 8 weeks!